People sported green for St. Patrick’s Day in Nome, attended their parade, and took their pictures under the burled arch finish line attired in green. Kelly Maixner finished his race today in a St Patrick’s Day top hat. 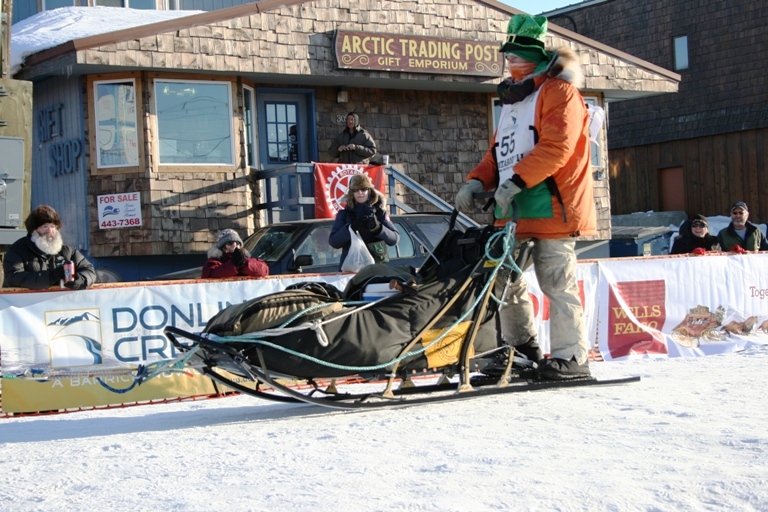 Kelly Maixner, DDS finishes his first Iditarod. Did you figure out what the four people in yesterday’s post had in common? 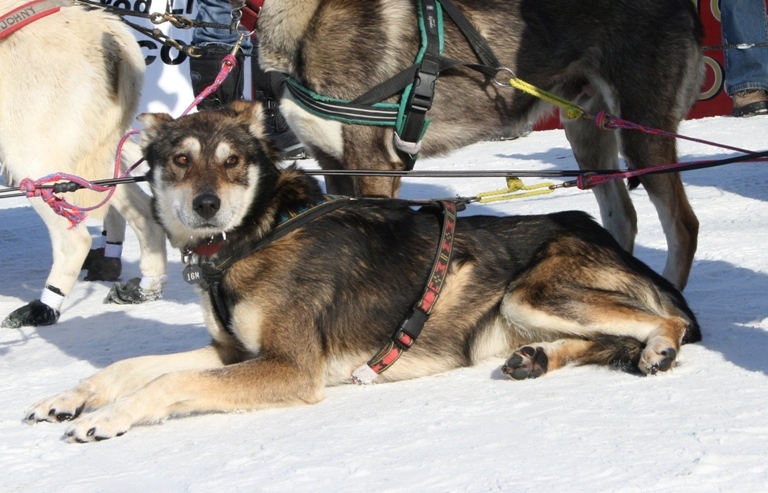 Besides running the Iditarod, all four are native Alaskans. An event at the mini-convention center was a reading of Robert Service poems by Richard Beneville, including The Shooting of Dan McGrew and The Cremation of Sam McGee. These poems’ inspiration came from Service’s time spent in the Yukon Territory in the early 1900s. The Cremation of Sam McGee has a surprise ending. Study it with your students and discuss their different interpretations of the ending.